Trust takes time to build, but can be broken in an instant! I’ve come across another TRUST formula in my travels that has also resonated with people. Aside from the obvious elements of reliability and credibility, the pieces about ‘intimacy’ (authenticity / self disclosure) and the degree of self interest (self orientation / personal agenda) are helpful reminders about what really matters in building and maintaining strong relationships. 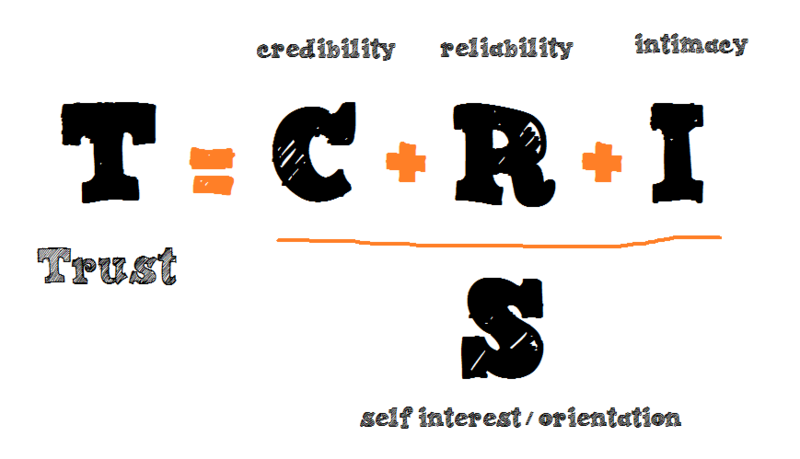 The placement of the self interest element as a denominator emphasises the power this can have on both growing and destroying trust between people. If you want to find out more about activities to diagnose and improve trust, follow the link to Linked In article. 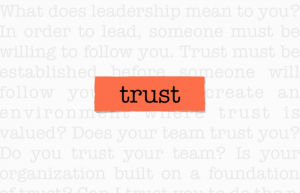 If you want to find ways to build stronger levels of trust with those you work with, check out these suggestions in a recent Forbes article.